It is very important to build trust with customers, and one of the best ways to do that today is online with a business website. Supplying good information on a website will increase your credibility and reliability. For a business to be successful, it needs to be both approachable and professional. Building trust with customers isn’t an easy or automatic procedure. It is a process that starts by interacting and building a relationship. Once you develop that trust with people, your business is sure to grow and provide you with success and profit. It’s important to purchase a domain name for your business. It is not very costly, and the registration process is quick. This will give your website an individual and original identity for people to find you quickly and easily online. Make sure your website is user-friendly so that first time visitors know how to easily navigate through the pages. It also needs to be attractive and appealing. If your website is stark or not very easy on the eyes, it won’t attract potential customers. Make sure your site is well-designed to keep visitors roaming and wanting to see more. Who you are and what you do should be easy to spot and make interested individuals want to look further into what you have to offer. Adding an “about us” page will legitimize your authenticity. Including real information such as an address, phone number, names of employees, and how to contact you helps customers realize that you are who you say you are. Pull people in with good, clean imagery, clear and professional messages, and dynamic, eye-catching designs. Also, make sure your site is designed to be mobile friendly! Most online customers nowadays search for businesses and services via their phones. Content that Educates, Informs, and Engages! Your website should contain quality, relevant, and up-to-date information. Include some facts and statistics that can be backed up by well-known and trustworthy sources. Blogs, information graphics, charts, and images can be used to further develop an idea or help the reader better understand what the text is saying. It is a great idea to create a blog for your website to increase content and authority. It will help you prove that you are an expert in what you do and services that you provide. EBooks are another good trust-building component that you may want to provide for customers on your website. 56% of all Americans have at least one social media profile, and that’s including people of all ages. For younger generations, that percentage is much higher. The times are changing and social media is becoming more and more popular. By establishing a presence on widely used social media platforms such as Facebook, Twitter, Google+, and LinkedIn, you will be able to start building relationships and having conversations with current and potential customers. You can include clear links to your social media pages on your website and visa versa. Make sure that what you are portraying on your website, social media platforms, and blog posts is truthful. It may seem like a very simple and obvious statement, but making one wrong move or having something not match up could create dissatisfied and frustrated customers, breaking that bond of trust that took time to build. If this happens, be sure to deal with these types of situations right away, with honesty, integrity, and respect. If the situation is taken care of properly, or avoided all together, you can create life-long, trusting and loyal customers. We know that this is a lot to digest, but that’s what we’re here for! 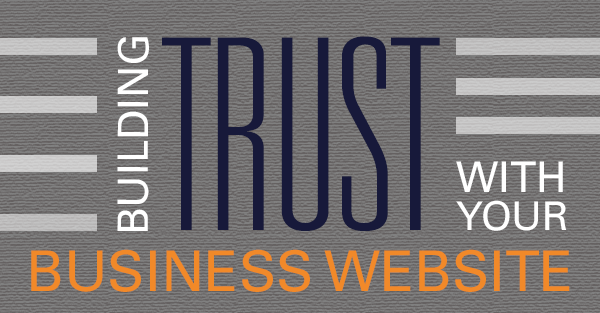 We can help you turn your website into a trustworthy, lead-generating machine. Blue Frog Marketing in Des Moines, IA can provide you with great design, professional content writing, and marketing services. This will make your website attractive and engaging, and you will be able to successfully build trust with people and convert them into life-long customers!